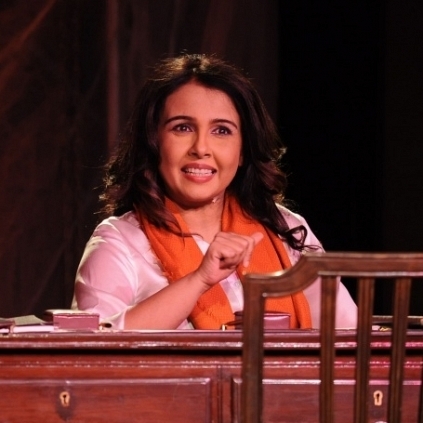 Bollywood actress-singer Suchitra Krishnamoorthi was under the limelight for her tweets. The actress made a controversial comment on 'azaan,' (Islamic prayer) she tweeted. 'came home at 4.45 am 2 most aggressive/ear shattering call of azaan. Nothing more low life & dumb than such extreme imposed religiosity'. Her tweet soon grabbed a lot of attention and there were several harsh comments to her tweet. The actress even took screen shots of such comments and again posted on her Twitter warning people for abusing her. But, the trolls continued. After a point of time when abusive tags were trending on her name, the actress formally lodged a complaint. The latest we hear from Bollywood media is that police have booked nearly five Twitter users for abusive comments on Suchitra in Twitter. People looking for online information on Suchitra Krishnamoorthi will find this news story useful.